On the shuttle bus, returning back to my hotel from BEA, I met Herman Graf, the acquiring editor and consultant for Skyhorse Publishing. We struck up a friendly conversation about books and everything else under the sun. He told me I absolutely had to read The Promise. So I made my own promise to him, and read it when I returned to Montreal. The Promise is one of those books that holds the reader's attention because of the fine tension the author builds between the characters. In this story, the tension builds parallel to the setting: 1900 Galveston Island, Texas, the year it experienced the hurricane that was the worst U.S. disaster in the twentieth century. 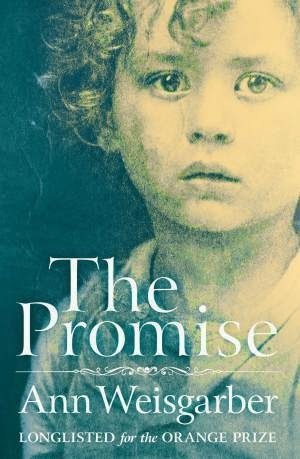 The Promise is a heartbreaking novel, not bawl-your-eyes-out heartbreaking, but one filled with sadness, longing and lost opportunities. Catherine Wainwright, a young pianist, who has an affair with the wrong man, ends up being shunned by society and escapes in a hurried marriage to Oscar Williams. He is a recently widowed man with a small son, Andre, and he owns a farm in Galveston, Texas. The marriage affords her respectability, a home, and a place away from society, but it is a far cry from the pampered life she was used to. Nan Ogden, the young housekeeper who made a promise to Oscar's late wife that she would take care of Andre, does not like Catherine, and harbors her own feelings for Oscar. The story is told from alternating point-of-views, which worked well for this story. We get to see things from both Catherine and Nan's perspectives, which is brilliant because as a reader I felt pulled on both sides, which, once again, built that high-strung tension that leads to the storm both internally and externally. The characters are well-built, the island life came to life, and the devastation from the storm is keenly felt. I turned the last page with sadness, but also with contentment. This was a very good story. It made me reflect on the consequences of keeping secrets, of not taking care of personal issues at the right time, of learning to put the past behind and move forward. Ann Weisgarber is a talented writer, with the ability to create believable characters that come to life and the imagination to build a good story based on an historical event that actually took place. Highly recommended for fans of literary fiction.